Many parents are concerned about where to begin homeschooling. The Home School Facts team hopes that you will use these pages to assist you in bringing clarity to this task. Although homeschooling is legal in all U.S. states, it is still a subject of legal debate. Fortunately, the debate is not about the right to homeschool children, but about the amount of state regulation that should be applied to the process. Some states require no notice that a family intends to homeschool their child or children. Others require filing of an official notice with local school officials. (NOTE: States vary in terms of what must be included in the notice.) Some states require that a fully credentialed teacher must supervise the homeschooled child’s education. Some require that the homeschool student must be enrolled in public school and some states allow students to enroll in a public school but don’t require that they do so. Some states actually prohibit homeschoolers from enrolling in public schools. In some states, homeschooling regulations are moderate or heavy and other states have few or no regulations at all. Some states allow parents to formally withdraw their children from school and begin educating them at home while other states’ parents are required to report regularly, show proof of actual progress, and/or keep certain state-specified records, such as attendance, subjects being taught, who the teacher is whether he/she is a certified teacher, etc. 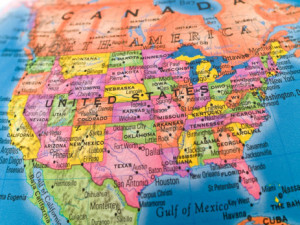 The bottom line is that, while every state has SOME requirements, a lot of variety exists in terms of the type, level, and number of regulations levied on homeschooling. No two states treat homeschooling in exactly the same way. Check out the homeschooling laws for your state and create a plan for complying with all applicable regulations. Establish your homeschool budget. Decide how much you’re willing to pay for curriculum materials and all other supplies. Will you be able to teach all subjects on your own or will you hire a tutor for some classes? 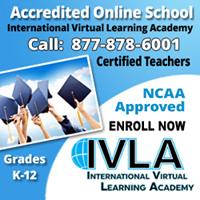 Locate the resources and/or online schools you determine will work for you and your children. Do your homework. This step will be of crucial importance to the long-term success of your homeschooling venture. In any educational experience, a student has a better chance of success when their parents take part in the process. In most states, you don’t have to be a trained teacher to manage your child’s homeschool and/or online learning program, but you must be prepared to be completely dedicated to the effort and accept that the experience will include a lot of hard work and time on your part. 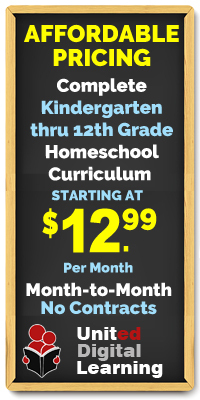 Whether you will homeschool your child year-round or maintain a nine-month schedule similar to public schools in your area, you’ll have to decide which classes you want your child to complete and what kind of daily instructional schedule will work for both of you. It is important to establish a homeschooling schedule and stick with it. Consistency is one of the keys to homeschooling success. While homeschooling costs are fairly reasonable, it is important that the teaching parent does not work out of the home. If your family is accustomed to two incomes, some sacrifices will need to be made in order to function on just one income. Not everyone who homeschools their children takes the time to plan extra-curricular activities or involve their children in the community. The level of socialization homeschool students enjoy is entirely dependent on how the adult(s) in charge of the experience coordinate and manage opportunities for outside activities. It goes without saying that both parents should be in total agreement that homeschooling is the most rational and acceptable way to educate their children. It is also helpful if the student happily embraces the idea of schooling at home. If your child does not want to be homeschooled, your experience will likely be more difficult. Don’t be intimidated by the rigors and adjustments of homeschooling. Homeschooling can be a rewarding journey. If you “do your homework,” prepare adequately, remain consistent and focus on enjoying yourself, you and your child will have a successful homeschool experience.